Landlords are the final word on rental requirements. Apartment rentals typically involve an application of some sort and a list of pre-qualifications set by the owner or building manager. 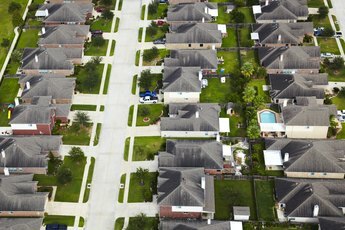 Qualifications vary from one location to another and often depend on the cost of the rental, as well as on supply and demand. Landlords will ask for proof that your income is sufficient to cover the monthly rent and all the expenses involved with apartment living. Typically three recent pay stubs is enough to show what you make, but some landlords also request a bank statement or other financial documentation to show what you have on reserve in case of loss of income or other unforeseen circumstances. The amount of income necessary to qualify for an apartment is arbitrary and depends completely on the landlord's comfort zone. In most areas, an income standard has been developed that states all tenants must have a yearly income equal to or greater than 40 times the monthly rent to be considered. A credit check is standard procedure for many landlords. The idea is to investigate your financial past to ensure that you pay your bills and do not default on commitments. A high score is necessary in most cases to qualify for a rental apartment. If your score is not ideal or your credit report shows damage in the past, landlords may request more security or a cosigner to make the deal. Some landlords charge the applicant for any credit checks that must be performed, so be ready to pay a fee from $50 to $100 in most cases. 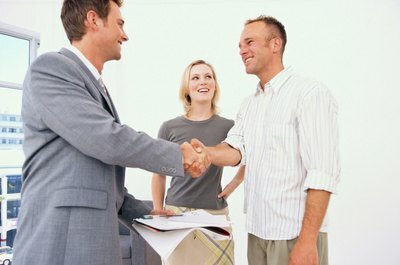 Statements of good character and reliability written by past landlords, employers and friends in respectable positions are always a plus and are required by some landlords. References should be written in formal letter format and should consist of the statement itself and the name, position and contact information of the reference. In some cases emails or telephone calls to old landlords and employers will also suffice. These references help to create a complete picture of your standing in life as a worker, a tenant and in personal relationships. Beyond the financial aspect, landlords often want to know that the person renting their property will be an asset to the building and a good personality match with other tenants. Security deposits are required by most landlords as a protection against damage done to the property during your lease or failure to pay. In the case that you are unable to make a month's rent or you break the stove and refuse to pay for it, the landlord can dip into the security deposit and cover the losses. She will then have time to take you to court and recoup any further losses due to default without losing everything. To rent an apartment, you will need enough cash on hand to pay the security deposit (which typically starts at one month's rent and rises from there), the first month due and in some cases the last month as well. If you choose to use a realtor there may be a fee equal to one month's rent due to the agency at the time of signing as well. What Do Apartment Leasers See When They Pull Your Credit? What Is Looked for in a Leasing Background Check? 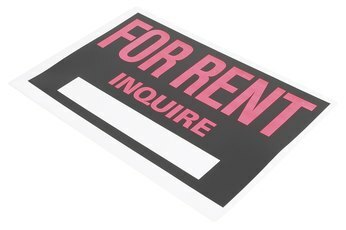 Does Defaulting on Rent Affect My Credit?